Gulliver’s is a family theme park designed to cater for families with children between the age of two and thirteen. All its rides and attractions are designed to offer the whole family fun and excitement. Gulliver's in Milton Keynes has themed areas each containing rides, attractions, shows, restaurants and shops. Half of the areas are undercover in case of rain. 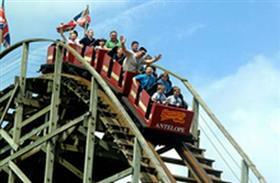 Highlights include 'Ride the Python', the 'Runaway train', veteran cars and the tug boat. Even very young children are catered for and will enjoy the characters roaming around the site. Please see website for opening days and times, which vary month to month. £12.50 per person which includes all attractions. Babies under 90cm enter free.